10:30 a.m. – Parade will begin promptly at 10:45 a.m. 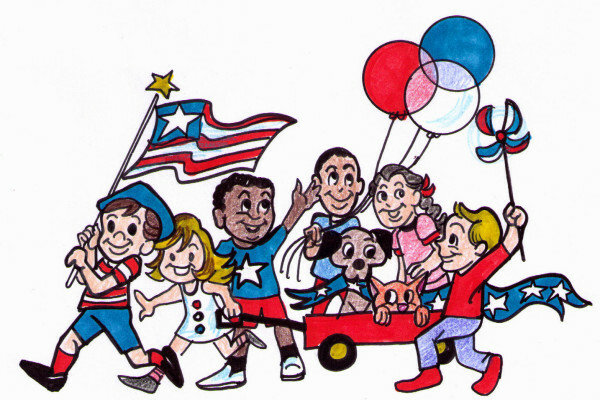 The Parade route will be from the Rancocas Community Center down Main Street to Olive, up to 2nd Street, to Bridge Street, across to Wills, down Main and return to the RCC. Please come out and cheer for the participants! Everyone is encouraged to decorate a bike or wagon, be creative and make a float. Dress up your dog for the occasion, too! We are looking for a bigger and better fun day! Refreshments will be served after the Parade on the Meetinghouse grounds. Patti McKernan is the co-ordinator for this event. Sponsored by the Rancocas Civic Association.